Having fallen behind with posts last couple of months, I’ve a fair bit of catching up to do. 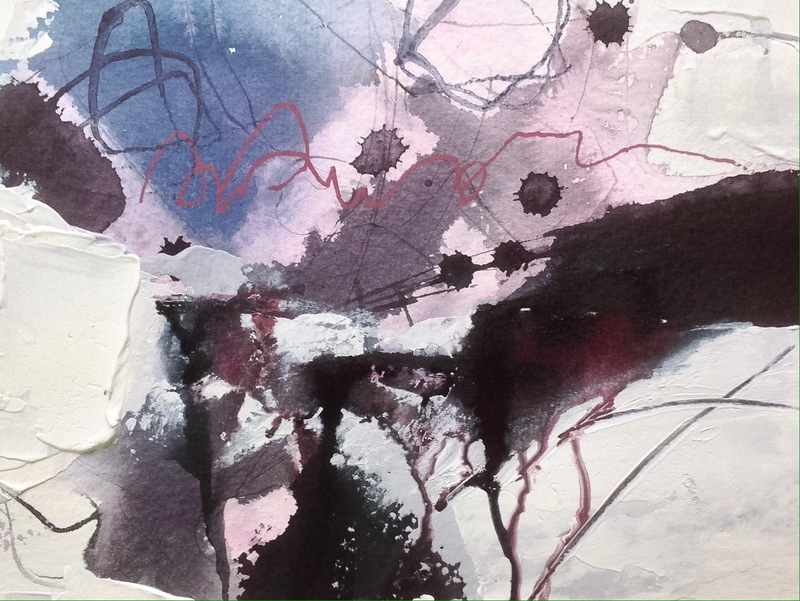 These are my latest playing around pieces, with inks, carried out in a rather cold studio this month. The first two below also use paint pens, ink pencil and acrylic paint. 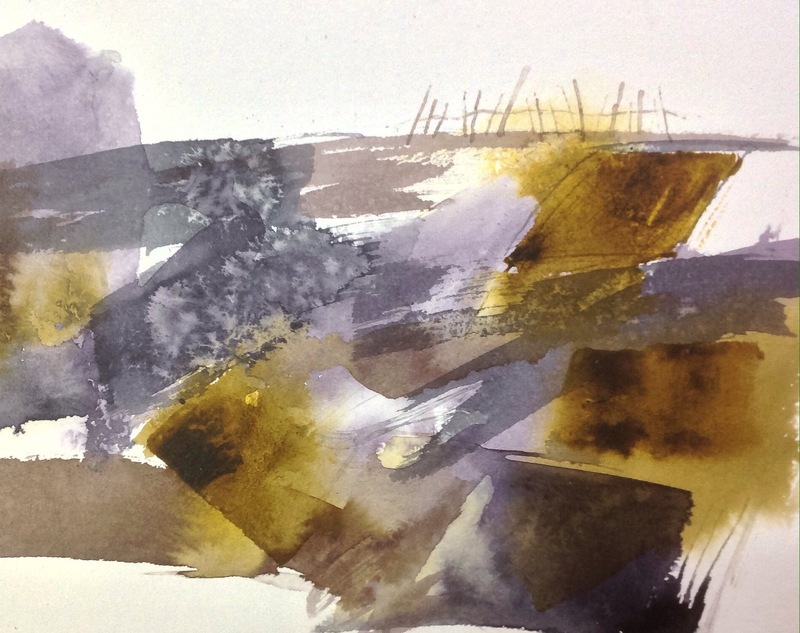 I already use acrylic ink in liquid, pencil and block form in my mixed-media pieces, but I bought a few of the new Muted range of Liquitex acrylic inks recently and enjoyed experimenting with them. I did find that, for me, the muted ‘grey’ (purple really) and the muted violet (purple) need to be combined with other colours to bring out their beauty, but they’ve increased my arsenal so I’m happy. I also got the muted turquoise, which isn’t that muted and a bit garish for me, but never mind. Oh, and they also mix successfully with acrylic paint too.